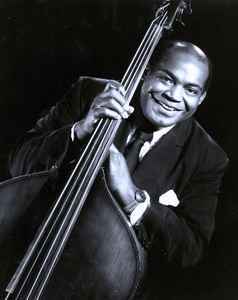 American blues bassist, vocalist, songwriter, arranger and record producer, born 1 July 1915 in Vicksburg, Mississippi, USA, died 29 January 1992 in Burbank, California, USA. Inducted into The Blues Foundation Hall of Fame in 1980. Inducted into the Rock And Roll Hall of Fame in 1994 (Early Influence). Inducted into the Songwriters Hall of Fame in 2015.